Verizon customers with upgrades or a craving for a new smartphone are going to have a tough decision to make as we head into the holiday shopping season. The HTC DROID DNA hits stores next week on the 21st, the Samsung Galaxy Note 2 shouldn’t be far behind it on the 29th, and the DROID RAZR MAXX HD with its mega-battery is already available. 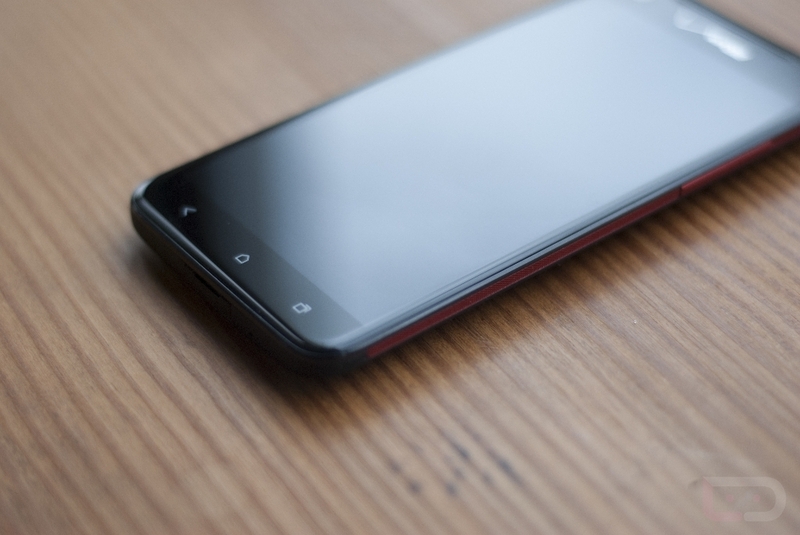 Making matters even more complicated, you also can’t ignore Google’s new Nexus 4, even if it would take you off of Verizon and into the land of unlocked GSM phones. So how do they stack up against each other? To hopefully help answer that question, the chart below was put together as a breakdown of all of the major specs, plus pricing. 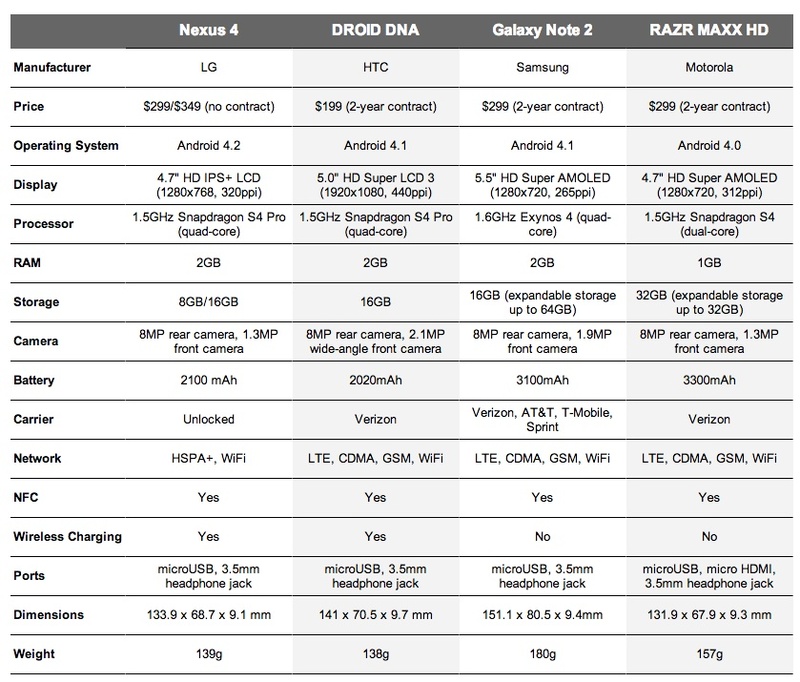 You should also check out our Galaxy Note 2 review and RAZR MAXX HD review while we work our reviews for both the DNA and Nexus 4.